You are here: Home / Blog / Seeing double! 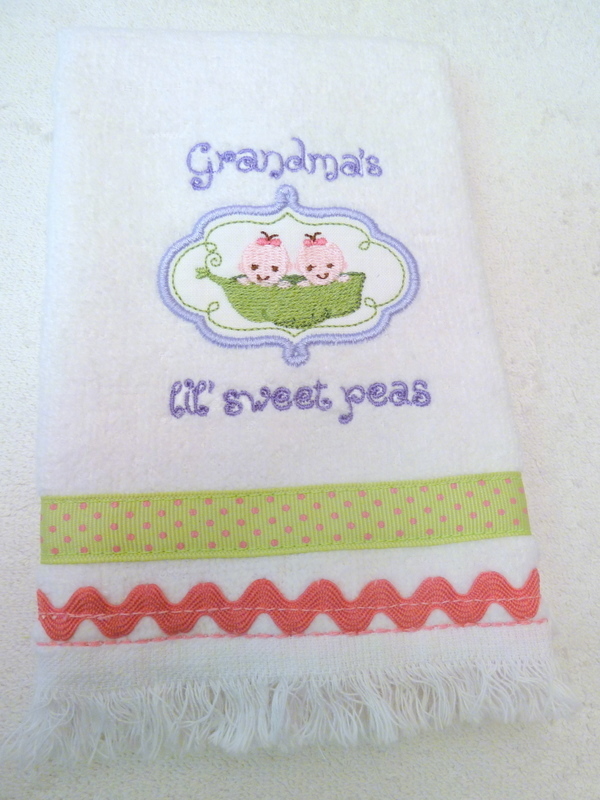 These burp pads are so fun and quick to make. 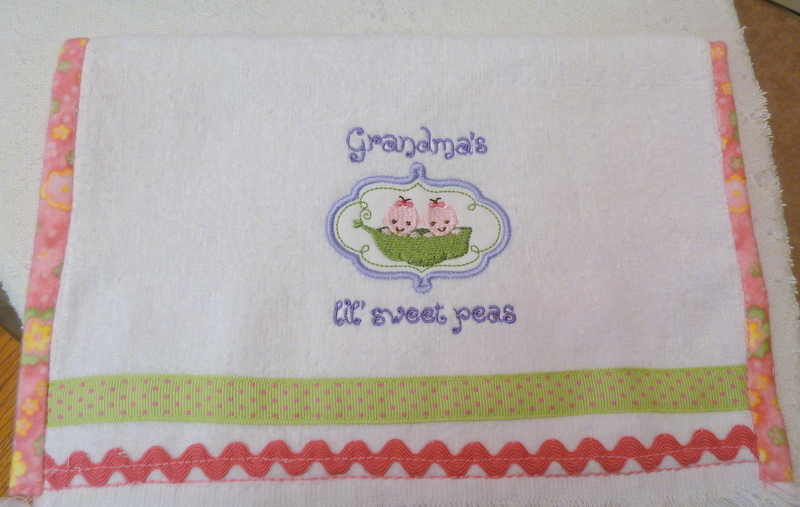 You use a small guest towel (I used a 6 pack from WalMart), apply a colored fabric backing, place your favorite burp design on it and add trim to your liking. 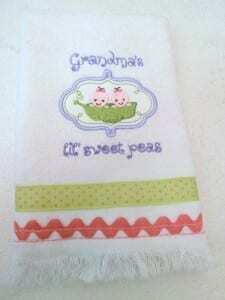 The terry cloth from the towel absorbs spills and burps very nicely and is soft to baby’s skin. The fringes at the top and bottom add a playful touch to the burp pad. 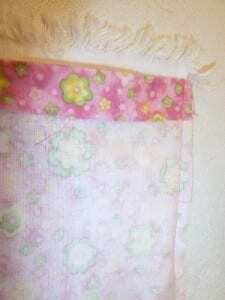 4-5” up from the bottom edge (depending on how much trim you want to add under the design). 2. After you placed your design, add trim of your choice under design. 3. Take your backing fabric, press a top and bottom edge seam of ¾”. 4. Place the right side of the backing over the right side of the towel, and sew ¼” seam along the long edge. than the towel. That’s what we want. 6. Turn everything inside out. burp pad, creating a little decorative edge. 8. Stitch in the ditch along the burp pad long edges. 9. Stitch the backing to the burp pad front by topstitching along the top and bottom edges, close to the start of the fringe. 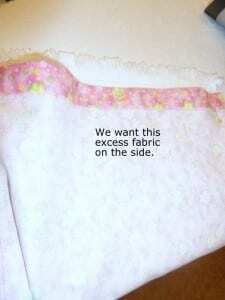 You could also just use Steam a Seam 2 and iron the backing in place. Iron it – and there you are. Isn’t this cute? And so very functional.